While many apps - including Microsoft's own OneDrive and Skype itself - are getting updated with iPhone 6 and iPhone 6 Plus support, Microsoft has granted the Windows Phone version of Skype an exclusive feature. 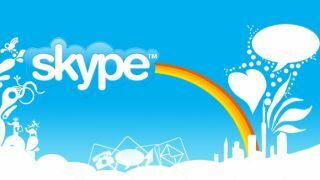 Skype for Windows Phone is now the only version of the service that lets users draw and doodle, then send their creations to friends and other unwitting recipients, the Skype blog reveals. To access the new Skype drawing tool in the WP app tap the "+" symbol in a chat window, followed by "drawing." It looks like a very simple tool - maybe even a stripped-down MS Paint - but there's nothing wrong with that. However it does let you draw on top of images and Bing maps. The Skype app for Windows Phone also gained HD screen support in this latest update. Skype reports that the app is now faster on Windows Phone 8.1 as well, with improved resume time, and that you can now sign in automatically using the Microsoft account linked to your WP device. Finally Skype is also now letting users sign in with their native Skype accounts instead of having to link them to their Microsoft Accounts, though they still encourage you to do so.